For most of the last five years the management of our local hospitals have operated a bunker mentality. First allowing the then Conservative council to spend taxpayers’ money pretending the demolition of Charing Cross would be good thing for our health, then just staying schtum. A couple of weeks ago that all seemed to change. I and other west London MPs, local residents and councillors, even the Save our Hospitals campaign were invited into the Hospital, given a tour and then a presentation in which the new Chief Executive conceded there had been an ‘information vacuum’ for too long. Now they were happy to engage and admit they had got things wrong. The next day the Chief Executive announced his resignation, after only four months, meaning, as I raised in the Commons, a fourth CE in five years. Truly things are bad at Imperial. The Trust has an underlying deficit (ie one they can’t get rid of) of £40 million. They need £500 million to go ahead with their redevelopment scheme that would leave us with no blue light emergency hospital in the borough. They have a £770 million maintenance backlog, one of the biggest in the country – 30 beds are out of service at St Mary’s, Paddington, the hospital they want us to use for A&E, because a ceiling collapsed. Only 80% of people get seen at A&E within four hours against the standard of 95%. And in the wider NHS -; primary, community and preventative care – which is supposed to be expanding to take the pressure off hospitals, there will be £20 million cuts this year. Meanwhile the newly privatised urgent care centre at St Mary’s has failed its inspection, which is putting more pressure on the A&E there. This is a crisis that will only get worse as winter begins. As I reported last month, even the NHS’s auditors are beginning to doubt the wisdom of the ‘Shaping a Healthier Future’ proposals to lose 500 acute beds in NW London (including over 300 at Charing Cross). On the ground, senior clinicians are openly sceptical that this is possible and point to the continued postponement of the demolition date, as well as the bulging waiting areas and overflowing wards. Indeed the reason for our tour was to show how £10 million is being spent to expand services at Charing Cross, including the A&E. The clinicians seem to be in the driving seat at last, taking over senior management positions and with six seats on the board. Not before time. And Charing Cross was rated ‘Good’ in its most recent inspection -; a tribute to the dedication of the staff at every level. The problem is that this growing local consensus will not be of any help if national policy does not change. That means both more investment in the NHS and -; as Labour Shadow Health Secretary Jonathan Ashworth has promised -; suspending the plans to cut acute services and making an honest assessment of clinical need. Neither of these things is going to happen until Jeremy Hunt is no longer Health Secretary, indeed until we have a new Government. Whether their motive is financial or political, the Department of Health refuses to acknowledge the facts on the ground and is sticking to the demolition plans. We are lucky to have a Council, campaigners and residents locally who will fight to defend the NHS, and to save Charing Cross. For the present, that fight continues. Are you confused by Brexit? Or at least by what is happening at present. Perhaps I can help? Are you still reading? Last week saw Parliament ‘take back control’ by insisting MPs decide whether the deal Theresa May reaches on leaving terms is good enough. Many people have made the point that the Brexiters cited Parliamentary sovereignty as a key reason for leaving the EU, though it now appears that only applies if we vote the way they want. But there is another more practical reason for not leaving the outcome to May, Davis, Johnson, Fox and Gove. They are very, very bad at their jobs. 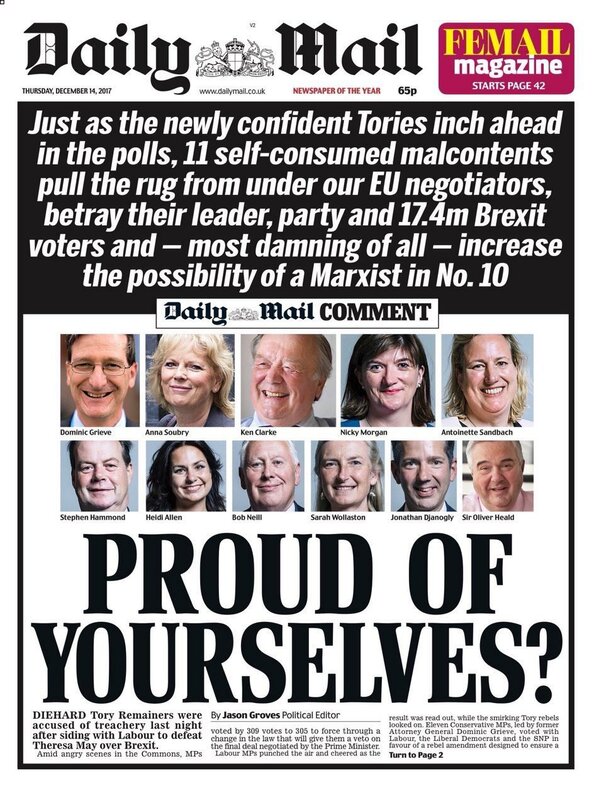 Their cheerleaders in the pro-Brexit media, when they are not inciting hatred against MPs for doing their jobs, have obscured the fact that Britain is being run ragged by the EU negotiators. The agreement of ‘sufficient progress’ on phase 1 has been hailed as a triumph for the PM. If this was a triumph, I would hate to see a disaster. All she has done is postponed decisions on borders, on the bill for leaving, and even on the rights of EU nationals post-Brexit. So why did the EU allow negotiations to proceed onto phase 2, ie trade agreements, before this was settled, contrary to their former position? Firstly because they still hold all the cards: agreeing to no hard border in Ireland binds both the EU and the UK into the customs union whatever May tells the DUP. Secondly, because if she had not come back from Brussels waving a piece of paper, she would have been forced out and replaced by Johnson or someone equally unstable and untrustworthy. From an EU point of view a weak but rational PM is better than that. So nothing is settled, including inside the Government where the Chancellor, once again following Keir Starmer’s lead some months behind, agrees that the two year transition 2019-21 must be on current membership terms. This should be obvious even to hard Brexiters, but of course they fear that continuing our historic trading relationship with Europe will be seen as the best option long term and all their lies and bullying will have been in vain. Last weekend I spoke at a conference on Brexit organised by the Polish University Abroad at the Polish Cultural Centre in Hammersmith, and I raise the issue of citizens’ rights almost every week in the Commons. All EU citizens are welcome and contribute to life in Britain in many ways, but it particularly concerns me that Polish and Irish Citizens who had rights that pre-date our EU membership based on ties of friendship and solidarity, may find themselves worse off than in the 1920s and 1940s. In a year of extraordinary events, the most extraordinary was also the most tragic. Last week, I was one of 2,000 people who took part in the monthly Silent Walk around the Tower. It was exactly six months since the fire that took 71 lives and changed the lives of thousands and a whole community. moving was Parliament’s marking of the anniversary, when four survivors spoke to a packed audience of MPs about not just their experience of the fire but of the failure of government on every level to respond to it. In the words of one ‘it shouldn’t require survivors to bare their wounds before such action takes place’. 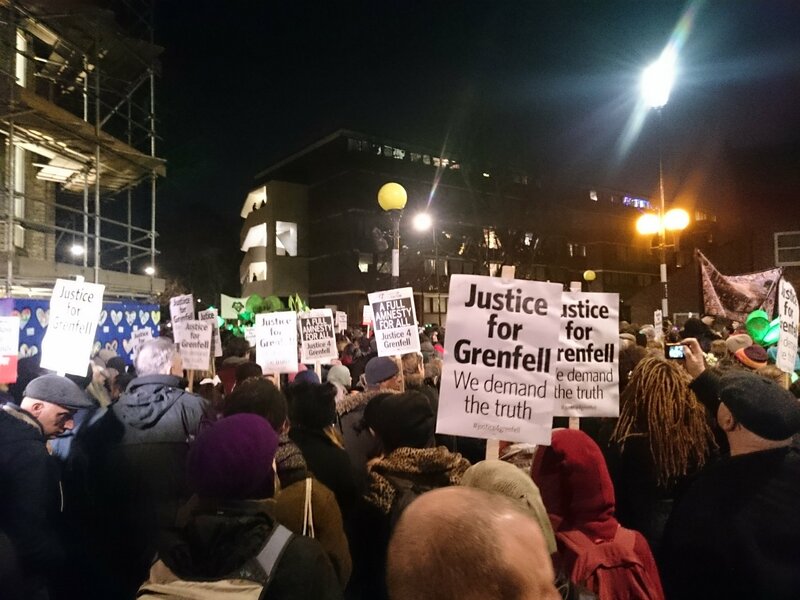 The action required is not just getting to the truth and establishing the causes of the fire, but finding permanent homes for survivors -; half will spend Christmas in emergency accommodation -; and addressing the chronic shortage and devalued status of affordable housing. Grenfell should mark a change not just in K&C but across the country where we have lost our way on housing over the past 40 years. Nowhere is this more apparent than H&F where under the previous Tory council the war on social housing reached it height with estates sold to developers, empty council houses sold by auction to the highest bidder and planning policies changed to reduce the requirement to build affordable homes. We now have a Mayor and a council who are prioritising affordable housebuilding, but to build the millions of new homes we need requires a change at government level. The most obvious -; and the most solvable -; part of the housing crisis is street homelessness. It is great to see Sadiq Khan bringing all the organisations fighting homelessness together at this time of year. But where is the political will to tackle this nationally? Last week I spoke at a conference in Hammersmith organised by St Mungo’s and pointed out that street homelessness dropped by 75% in the 10 years to 2010, since then it has increased by 125%. There is another sad tale to be told, this time about the Met. We are only just over half way through swinging cuts of £1 billion, and every borough is feeling the pinch. Overall police numbers are set to fall for the next four years unless the Government relents. I see the effects every week as I talk to residents affected by anti-social behaviour, burglary and car crime. Moped robberies and gang violence, including knife crime, are also on the rise. However, even against this background visible policing is being maintained in H&F, thanks both to the council paying for 40 officers and the Mayor re-introducing neighbourhood teams, abolished by Boris Johnson. 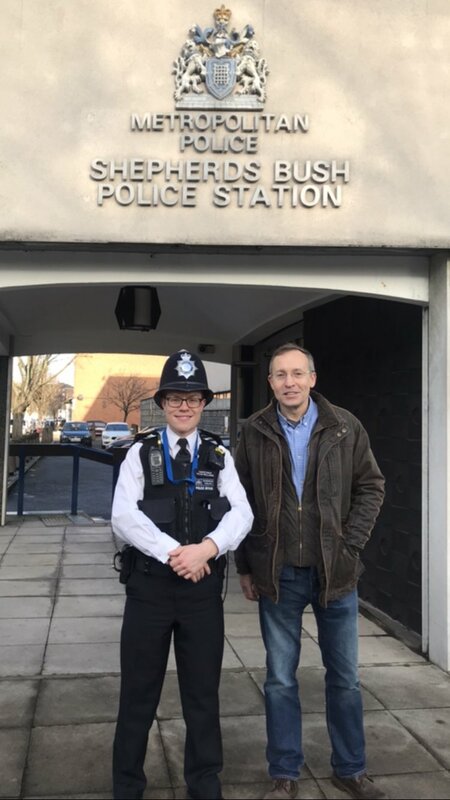 And it isn’t only quantity, quality matters just as much, as I found out this week in a morning on the beat in Shepherds Bush with neighbourhood officer PC David Williams. To say I was impressed by his attitude, knowledge of the area and determination to tackle crime at all levels is an understatement. Local news is mixed as always. I am delighted to see the arts thriving in H&F -; let’s hope it helps us win the London Borough of Culture title. I recommend the harrowing but brilliantly acted Parliament Square at the Bush, and also a trip to the Irish Cultural Centre newly re-opened with a mix of lectures, plays, music and community events. I am also supporting the campaign by Olympia’s new owners to re-open a timetabled tube service. With imminent improvements in the District line to increase capacity and reduce delays now is the time to reconnect one of London’s most densely populated areas to the tube map. Sign the petition here. On the downside another bank is closing on Shepherds Bush Green -; NatWest will shut its doors next June. In fact a quarter of all its branches in the UK are closing, they say because of lack of demand. When I met them they promised help for small businesses, like cash collections; and for personal customers, by stepping up their arrangement with the post office to allow bank transactions to be handled there. There is a NatWest branch in Westfield but what we really need is a new post office on the Green which Post Office Limited say they will support. HMP Wormwood Scrubs is one of the borough’s most iconic buildings, but also one of its least popular -; and not just with inmates. Two terrible reports in to conditions there came out within days of each other recently. I debated this in the Commons drawing attention to the appalling violence, squalor and lack of education and rehabilitation for the third year in a row. This not only affects prisoners and staff but all of us, as prisoners are released without accommodation, skills or resources and quickly turn back to crime. Last month I was asked to show Shadow Foreign Secretary Emily Thornberry around the West Bank with the aid of Labour Friends of Palestine and Medical Aid for Palestinians. My visits there are always bitter sweet. On the one hand incredible hospitality, excellent food and visiting some of the most beautiful and historic places on the planet. On the other the despair of a country under occupation for 50 years and a population whose lives are controlled, from the detention without charge of children to the segregation and displacement of families and communities. Then came Trump’s decision to recognise Jerusalem, which includes occupied East Jerusalem, as the capital of Israel. At a stroke this removes the US from its role as broker of a future settlement and through the division of the West Bank will mean the end of a two-state solution. The response has been almost unanimously hostile from the international community, which gives some hope. In Palestine, where many religions have historically lived side by side the Christmas lights were turned off in Bethlehem. A muted but poignant rebuff to Trump’s idiocy. I hope nonetheless that they have a happy and peaceful time this Christmas season. And that you do too.